Water conservation has been a hot topic high on the agenda for some time now, particularly with the record-breaking scorching summer that we have just left behind us. There are many reasons why it makes a lot of sense to conserve water and install a rainwater tank. In urban areas, water conservation does not, perhaps, feel very urgent. There is a tendency to get complacent when we turn on the water tap as – voilà – there it is. But for farmers and people living off the land, water is the most precious resource. Water conservation is therefore an absolute necessity; any drop of water falling from the sky is carefully taken care of. The farmer knows – and yes, all too well – that rain is fundamental to water supply. Rain fills up our water reserves on the ground (water tanks, dams) and beneath it (water wells, aquifers). 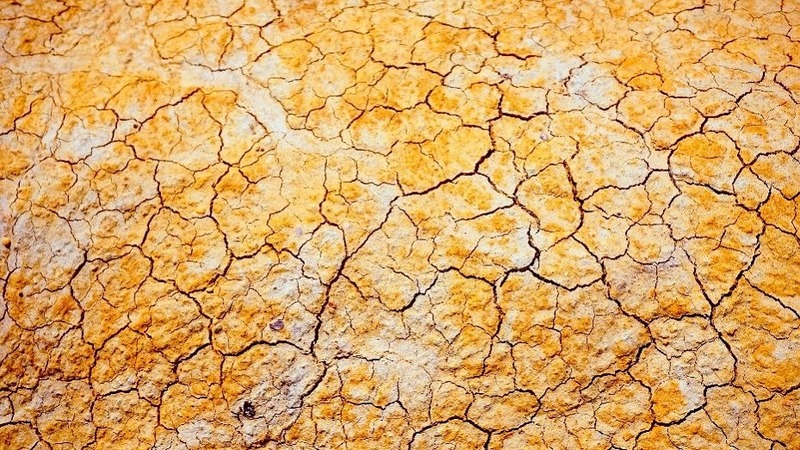 During droughts, not only does the surface dry out but the ground underneath also gets extremely dry underneath, significantly affecting the levels of our groundwater and water wells. This dryness of the earth has a ‘flow on effect’ throughout the soil, pun intended. This makes it extremely difficult to grow the crops from which we get our food from. Thus, water is the answer to this problem – piece of cake, right? However, as we all know, the rains don’t always come. This creates a strong need for water conservation. Water conservation allows us to have our cake and eat it too. One appealing argument for water conservation is that it can help us save money. Rainwater tanks are the go-to product and the superior way for capturing and storing rainwater from your roof for use around your house and garden. When the rainwater system is installed in the correct manner, up to 40% of your drinking water supply can be saved. This is money SAVED (you don’t have to buy cake though…but it’s your choice!). A rainwater tank is the first very positive step in the process of water conservation and benefitting the environment, your domestic household wallet and is increasing long-term water security. There are some steps that need to be taken and considered before you buy a water tank. Establishing your domestic water need requirements is the first step in the tank selection process. How much water does your household require for every day activities? Use Bushman’s water usage calculator to establish how much water your household requires. Bushman’s range of rainwater tanks include both small and large tanks, and range in capacity from 1,000 litres up to 363,000 litres. The tanks required for use in rural applications, also hobby farming, are likely to be bigger as there is generally not an issue with space. The shape is often round or squat, but smaller slimline water tanks are also suitable and often used. Urban water tanks come in a wide range of shapes – round, squat, slimline – but due to the fact that space is often limited in urban living areas and that the tank needs to fit in snuggly into smaller spaces, smaller tanks after often chosen. Slimline water tanks are ideal for urban living. Bushman’s range of rainwater tanks include poly water tanks and Steel Liner tanks (link). We also offer a full range of industrial tanks. Bushman’s poly water tanks are made in one piece out of food grade polyethylene. We use a raw material – Bushmans SunSmart® – that makes the tanks hardy and long-lasting in the harsh Australian conditions. The poly water tank range come in a selection of colours to suit your preference. Bushmans polywater tanks also have a 10-year guarantee. Read more about rainwater tank materials here. Bushman’s offer a range of steel liner water tanks. The Aqualine range is a range of galvanised steel liner water tanks. The Aqualine Steel Liner tank is an onsite constructed tank with galvanised steel walls and roof trusses with a poly liner to hold the water. The Aqualine tank range include tanks from 22,500 litres to 363, 000 litres. The Aqualine steel liner tank can be used in many settings, including but not limited to, rainwater storage, rainwater harvesting, stock water systems, commercial water storage, storm water retention and industrial storage applications such as in mines and factories. The Aqualine range of tanks are fully engineered and built to the Australian Building standards and have a 10-year guarantee. A complete rain harvesting system includes the installation of accessories. Bushmans have a comprehensive range of rainwater tank accessories. You can find more information on rain harvesting here. Rainwater tanks need maintenance to keep the tank clean and reliable. There are some simple steps that can be followed to make this process easy. Installing a water tank is great for water conservation. But look here – here are another 101 other Easy and Effective Water Saving Tips that can be applied to save water – and money!